Pinterest lens is the premier visual search tool for Pinterest. In this blog post, I’m sharing how to use Pinterest Lens and how it can benefit the shopping experience on Pinterest. The whole purpose of Pinterest Lens is to provide a visual search for items users discover in real life. Pinners, using the special mobile feature on the Pinterest app, can take a photo of an item in real life and visually search for those items on Pinterest! Once you snap an image (or upload one from your camera roll), Pinterest search shares results that most closely relate to the image you snapped! Pretty snazzy! So, what is the takeaway if you want to market on Pinterest? 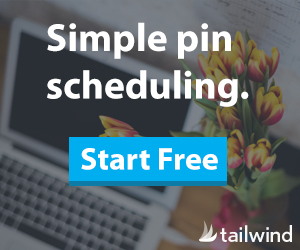 One, get a robust Pinterest marketing strategy! Use strong visual pin images and keyword rich pin descriptions. Secondly, if you have access to product pins like buyable pins or rich pins on your products, have crisp clear photos so that the search can match your products to those using Pinterest Lens. Have you tried using Pinterest Lens on your mobile app?